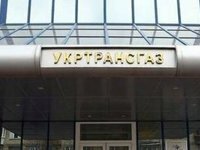 Public joint-stock company Ukrtransgaz, the operator of the Ukrainian gas transport system, has said that the company is ready to accept and process applications of Ukrainian private companies which plan to supply natural gas to Ukrainian consumers via the Hungarian gas transport system in 2014. "The applications are to contain information in line with the requirements of the access to the united gas transport system," reads a report of the company issued on Tuesday. The procedure for access and joining to the united gas transport system of Ukraine approved by NCER resolution No. 420 of April 19, 2012 foresees that if there is no enough free capacity of the trunk pipelines to satisfy all the applications on the transportation of gas suppliers of gas to households and heat supply companies are of top-priority and then gas is sold to natural gas market players which order the services for the longer period of time. All other things constant the applications are satisfied proportionally to the declared volumes of gas. As reported, according to the monitoring of FGSZ Ltd., the operator of the Hungarian gas transport system, in July 2014 Ukraine imported around 3.3 million cubic meters of gas a day (101 million cubic meters) via Hungary, while the largest possible capacity of accepting gas from Hungary at the Beregdaroc gas metering station today totals up to 16 million cubic meters of gas a day. Earlier Head of national joint-stock company Naftogaz Ukrainy Andriy Kobolev said that the reduction of imports of natural gas by Ukraine from Europe in July is linked to the fact that Hungary pumped gas to its underground storage facilities. According to Gas Storage Europe (GSE), as of early August Hungary has the smallest volume of gas in its underground storage facilities compared to other European countries – 46% of the whole capacity (2.865 out of 6.17 billion cubic meters). For example, underground storage facilities in Germany are filled by 83% (18.062 out of 21.801 billion cubic meters), Italy – by 86% (14.285 out of 16.558 billion cubic meters), France – by 72% (8.66 out of 11.956 billion cubic meters), Slovakia – by 87% (2.607 out of 2.992 billion cubic meters) and Poland – by 90% (2.22 out of 2.473 billion cubic meters). Ukraine from November 2012 started importing natural gas from Germany via Poland under a contract with Germany's RWE Supply & Trading. From April 2013, the country started supplies from Hungary. From January 2014, supplies from Europe were suspended when Naftogaz Ukrainy and Russia's Gazprom agreed on the price of Russian gas of $268.50 per 1,000 cubic meters, but from April 2014, the agreement was not prolonged. From April 15, 2014, Ukraine resumed the reverse gas supplies from Europe. In April-June 2014, around 600 million cubic meters of gas was imported from Poland and Hungary, including around 330 million cubic meters in June and around 200 million cubic meters in May. In 2013, Ukraine imported 2,132 billion cubic meters of gas from Europe.